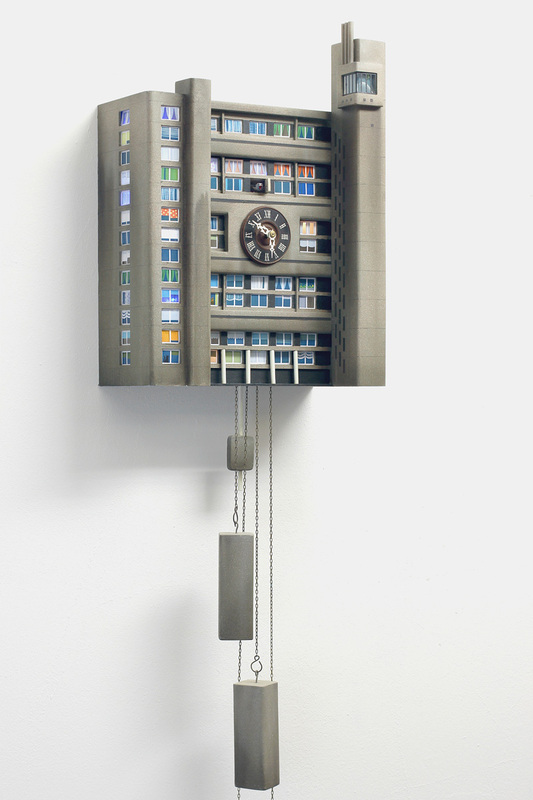 German multidisciplinary artist Guido Zimmermann reinterprets the iconic German cuckoo clock using examples of modern architecture. The artist notes that while “the classic cuckoo clock stands for the prosperity of the middle class and counts as a kind of luxury for the staid home, the updated version as a panel construction shows today’s urban and social life in apartment blocks.” Zimmermann drew on specific examples of modern architecture to create his sculptural “Cuckoo Blocks”. Grids of windows peek out of flat concrete surfaces, with contemporary details such as satellite dishes and cactus houseplants. Don’t forget to check Concrete Para Clocks by LeeLABS.